We are pleased to announce the first recipient for WHB Black Love awardee for 2018. For Afrikan people, everything starts with our Ancestors, so it’s fitting that we start by announcing the Ancestral Warrior-Healer-Builder Black Love award first. Join us on Feb 10th for our 6th Annual Celebration of Black Love. Come, join in and let’s make 360 degrees of Black love from ancestral to romantic to revolutionary. The award goes to Nana Baffour Amankwatia, II also known by thousands or millions as Dr. Asa G. Hilliard III. Please join his family on Feb. 10th as they receive the award for him. Dress up and bring your dancing shoes! 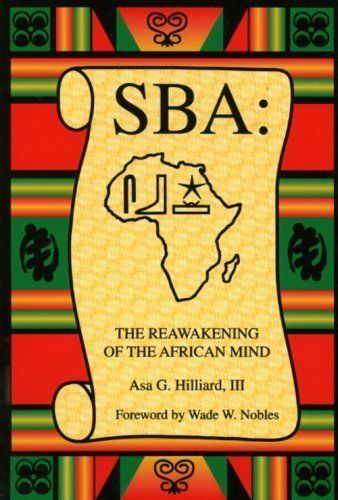 In the book To Be Afrikan, Asa reminded us that while the physical and emotional pain of the MAAFA went beyond measure, it was the mental assault, disorientation, and loss of consciousness that disabled us the most. That attack on our deepest relationships continues by our oppressors defining for us a romantic love that is superficial and alien. Help us “Do Asa” by celebrating a romantic love that is revolutionary, healing and whole - an Asa love. It was the Dikenga kind of love - the 360 degrees of Black love. Asa’s love of and support for Mama Patsy Jo Morrison Hilliard was legendary. Who knows, you might learn just a bit more about that on the 10th! Did you know that back in the day, he was the drummer for her dancing? Oh, you don't know 'bout that kind of love. He showed us a father’s love through his love and support of Asa Hilliard IV, Robi Hilliard Herron and Michael Hakim Hilliard, Patricia Hilliard-Nunn, and his grandchildren and extended family. Somehow he also made time for us. Whether in Atlanta, Liberia, Portland, San Francisco, Ghana, New York, Florida, KMT, when Afrika called, Asa answered. By profession, Nana Baffour was an Educational Psychologist and a Fuller E. Callaway Professor of Urban Education at Georgia State University. He also spent 18 years on the faculty of San Francisco State University, where he became Dean of Education. In practice, he was a forensic document specialist, writer, a legal warrior, a historian, a speaker, organizer, student, comrade, and whatever he needed to “be” for Afrikan liberation and resocialization. His books include "The Maroon Within Us: Selected Essays on African American Community Socialization" (1995), SBA: The Reawakening of The African Mind (1997), and "African Power: Affirming African Indigenous Socialization in the Face of the Culture Wars" (2002). What I most loved was his Ethno-therapy classes taught in the shadows of the Great Pyramids. I’m a proud member of Holy Royal Family V.
At the award ceremony, you’ll hear the story of how he received such a love that defied the horrors and brutality of captivity. It gives us the greatest pleasure to announce Nana Baffour, Asa G. Hilliard II as the awardee for AYA’s Ancestral Warrior-Healer-Builder Love.